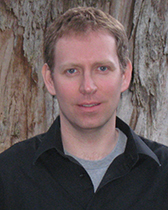 Sean Hanretta (Ph.D., University of Wisconsin-Madison, 2003), is Associate Professor of History and focuses on the intellectual, cultural and religious history of modern West Africa. He is currently working on a long-term project on the history of Muslim weddings and funerals in Ghana and on the history of higher education in the wider region. He is particularly interested in the theory of historical evidence and in non-documentary forms of historical sources. 'Kaffir’ Renner’s Conversion: Being Muslim in Public in Colonial Ghana, Past & Present no. 210 (Feb., 2011), 187-220. 'To Never Shed Blood’: Yacouba Sylla, Félix Houphouët-Boigny and Islamic Modernization in Côte d’Ivoire, Journal of African History 49:2 (2008), 281-304. Gender and Agency in the History of a West African Sufi Community: The Followers of Yacouba Sylla, Comparative Studies in Society and History 50:2 (2008), 478-508. Professor Hanretta accepts graduate students working in fields related to African intellectual history, cultural history, and gender history, and the history of Islam in Africa. His undergraduate teaching includes courses on Africa from 1885 to 1994, the global history of death and dying, African history through literature and film, Islam in African history, and the Cold War in Africa.